This car when you have not head up and all elektronica down and when the motor is good and good tires , than you need under 11.8 seconds to 200 !!! And to 100 kph in 3.9 sek!!!!!! I see good m6 e63 and bad m6 they need 4.5 sek to 100!! "The M6 is a brilliant car." The M6 is a brilliant car. brilliant car as i own one myself.RECOMEND TO ANYONE. I'm a doofus and the old m6 looks way better,it rocks. 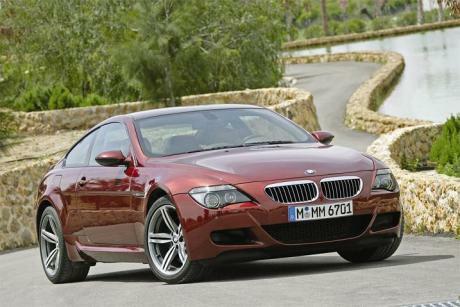 BMW m6 is a brilliant car I've got one. I dont get it, why the topspeed is 189.1 mph???? 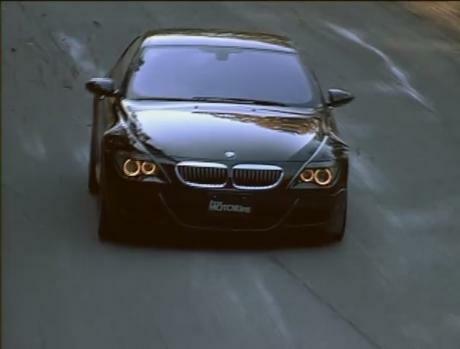 Standard M6 goes 250km/h. Its fair if fastestlaps change Audi RS6 topspeed too. Standard RS6 topspeed is 250km/h, 280km/h and special RS6 plus edition hits 303km/h. 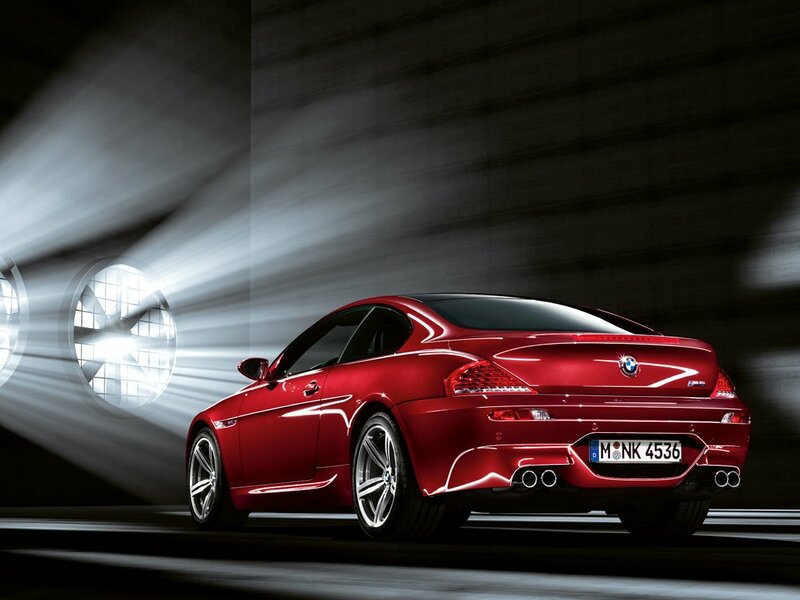 As long as the back looks better, it will be better looking than the old M6. 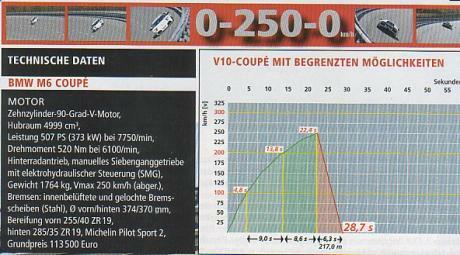 "12.8"is true according to Sport auto 07/2006 ,in the comparison with Viper SRT 10 and Gallardo. because this 12.8s is not true. It was done by Sport Auto. @Bmw ! because this 12.8s is not true. Topspeed 189.1 mph? M6 is limit 250km/h. Or whitout limit over 320km/h. When Sportauto tested the M6,it was really strange, because it was faster than the Gallardo, and Dodge Viper SRT-10(Straight Line). why is the audi faster at all videos that i see! we post here real speed not speedclock fantasy numbers..
Than "top speed" should be 305kph. 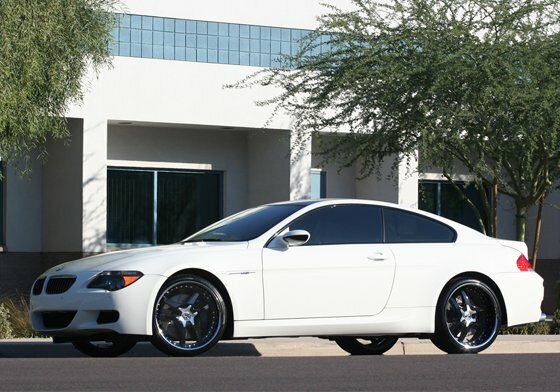 There's a lot of stock M6s capable of doing (at least) 305kph. Claiming and the reality are usually not the same. Well the M5 touring can go 207 mp/h (claimed in fifth gear) so its real speed is only 204 mp/h? In the reality that 325 km/h is "only" 305-310 km/h. I don't think it can go faster than 310-315 km/h. As Georg already mentioned the videos where the speedometer shows 330 km/h are wrong because the speedometer always shows higher speed than the real speed. The top speed depends on power, drag coefficient and gear ratios. I don't think the M5/M6 have a top gear ratio which make them capable of 330 km/h. The stock M6 did here 325 km/h according to the speedo. 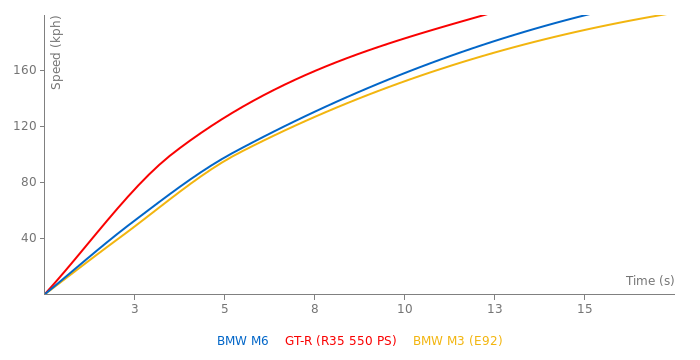 Its not pointless...the point is that the M6 will go 330km/h with no problems....even the fifth gear told that M5 touring can go 207 mp/h when its delimited.And M6 is faster than M5 touring. Think about what you posted. the M6 has a slightly better cD but much larger frontal area.. The M6 which has a bit more power and RWD has a big advantage in top speed , despite that it weightts a bit more than the Gallardo. Lets forget the GPS right now , lets focus on the speedo.Yes the M6-s speedo shows 330 km/h and it gets there too!In real speed yes it can be 305 km/h.If the GT-R 2011 can go 0-100 km/h in 2.9 sec.In real speed it's only 80-90 km/h....so lets forget the GPS.And BTW the BMW M-division confirms that the M6 (delimited) can get 330 km/h.